Under Construction - The Mercede is magnificent open plan with elegant features throughout the home. From the second you enter through the front door, explore the possibilities. Dream of entertaining guests as you walk into the open great room with sweeping views of an impressive outdoor lanai. Picture you and your guests dining in style in the formal dining room, grilling at the optional outdoor kitchen, having coffee in the breakfast nook, or cooking delicious meals in the modern, state-of-the-art, designer kitchen. The large master suite with a bay window features two walk-in closets, a soaking tub and luxurious shower. 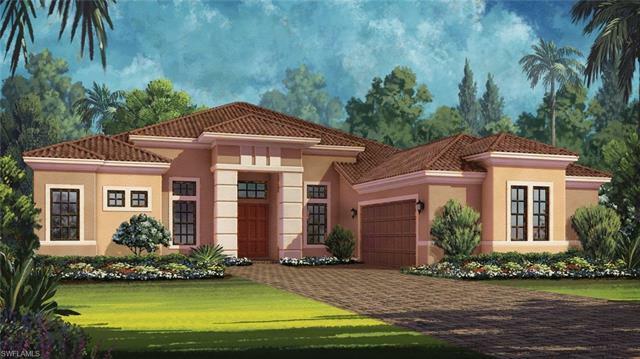 The Mercede is your perfect match for getting the most out of the fabulous Florida lifestyle. PHOTOS of MODEL Home. Ready in November.